Gain access to a care team with over 50 years of experience! 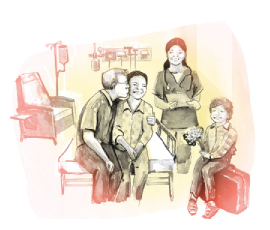 Andrew De Four and his team of Customized Homecare for the thoughtful compassionate care and attention provided. " "Andrew, we wouldn’t have been able to provide everything our father needed, alone, this past summer, with the numerous, last minute, regular care items and attention that he required. Your support and many hours listening to our family concerning how to best respect my father’s daily schedule and routine while remaining within a budget, was exactly what we needed after a few years of trying to do and manage everything ourselves." "Andrew, we are so grateful to have "found" you to help us out !" "I would like to thank you and your staff at Customized Home Care for the care you provided to my late uncle, Alvin Rolston during his illness.The service you provided and the concern and interest you demonstrated personally in his case was very much appreciated. 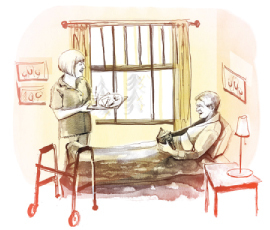 In addition to our family visits, your service provided a companion for him and also additional supervision of his care in the hospital and CHSLD. Thanks for your assistance." The Easy Life plan is designed when you or your loved one needs a companion and support with daily living activities such as homemaking. The Comfort & Security plan is designed when you or your loved one needs a maximum level of peace of mind in or outside of the home. Ongoing loved one support, companion care, personal care, monitoring, and homemaking support with a holistic approach. 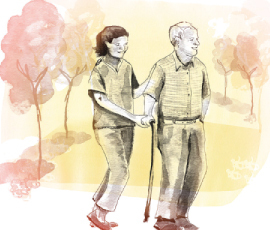 The Essentials Life plan is designed when you or your loved one requires In-Home Healthcare. Nursing Oversight Care provided by a Registered Nurse case manager who coordinates holistic care.